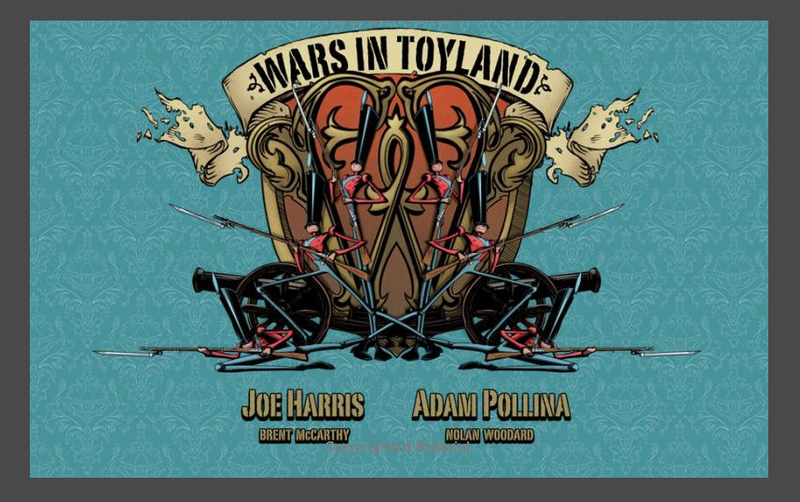 Wars In Toyland is a 96 page graphic novel I illustrated about a young boy named Mathew's struggle to rescue his lost brother after being whisked away into a dystopian world of lost toys with the help of Soldier John and the other local Militia. Below I've included a little bit of everything from early drawings, to inks, and fully colored pages. I didn't have control over the colors, and I ended up liking my black and white pages much more the majority of the time.